Novodevichy Convent, also known as Bogoroditse-Smolensky Monastery, is probably the best-known cloister in Moscow. Its name, sometimes translated as the New Maidens’ Monastery, was devised to differ from an ancient maidens’ convent within the Moscow Kremlin. Unlike other Moscow cloisters, it has remained virtually intact since the 17th century. In 2004, it was proclaimed a UNESCO World Heritage Site. The oldest structure in the convent is the six-pillared five-domed cathedral, dedicated to the icon Our Lady of Smolensk. 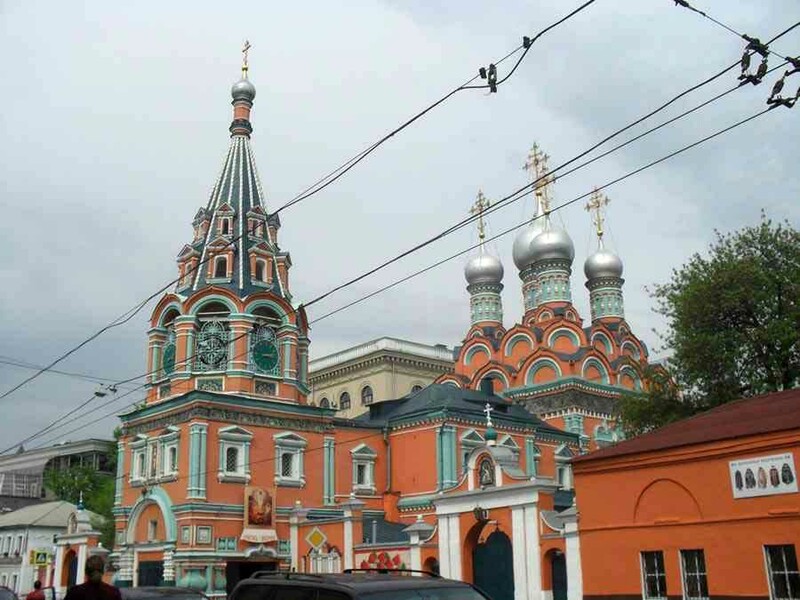 Documents date its construction to 1524–1525 though the consensus is that this Russian cathedral building was rebuilt in the 1550s or 1560s. Park Pobedy, is a Moscow Metro station in the Dorogomilovo District, Western Administrative Okrug, Moscow. It is on the Arbatsko-Pokrovskaya Line, between Slavyansky Bulvar and Kiyevskaya stations. The Polytechnic Museum is one of the oldest science museums in the world, located in Moscow that emphasizes the progress of Russian and Soviet technology and science, as well as modern inventions and developments. Red Square is a city square in Moscow, Russia. The square separates the Kremlin, the former royal citadel and currently the official residence of the President of Russia, from an historic merchant quarter known as Kitai-gorod.